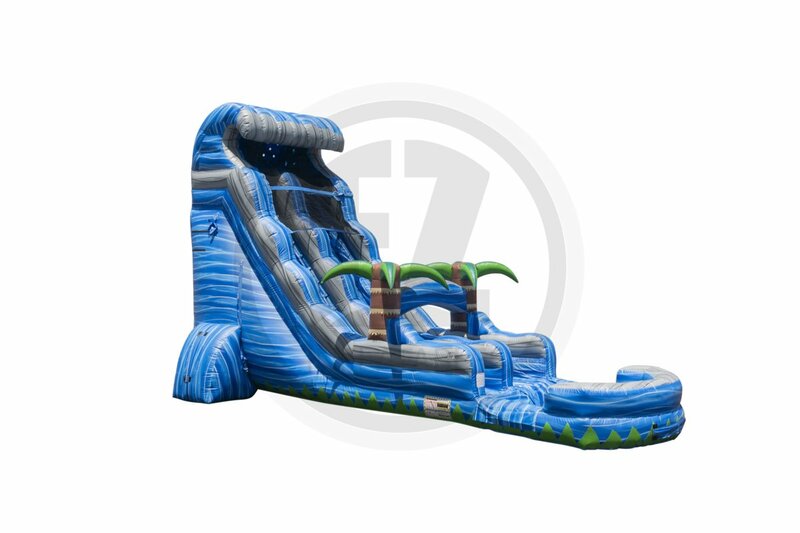 Our 22' Tropical Tsunami Water Slide features a 22' tall giant single lane inflatable water slide with a splash pool at the end. Once at the top of the awesome Tropical Tsunami Water Slide, the steep angle will have your adrenaline pumping and wanting more! Over 35' of water slide fun!!! This water slide is perfect for schools, churches, summer camps and backyard parties too. Kids of all ages, including teenagers and adults will love this ride! 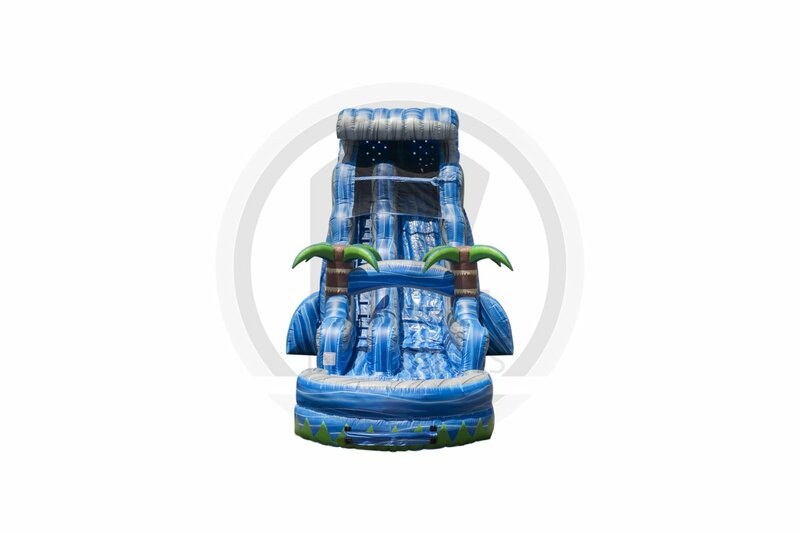 Pair this water slide up with a summer sno cone machine rental and you will have the ultimate summer party!